The CSIR bursary programme provides financial support to tertiary students with a view to permanent employment at the CSIR. The programme supports both undergraduate and postgraduate students. Mentorship opportunities as well as vacation work are also offered by the CSIR. The CSIR firmly believes in nurturing and developing the expertise of young scientists, ensuring that you are not only able to conduct research independently, but that you can also be role models for students and learners. The research human capital that we build within the CSIR contributes to the development of a national pool of scientists, engineers and technologists. 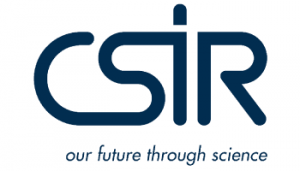 The positioning statement of the CSIR, "our future through science", expresses the unshaken resolve of the CSIR to harness the power of science and technology for building a prosperous future for South Africa. The CSIR contributes to this effort by providing opportunities for skills development and career progression through creating a vibrant research culture. Full-time BSc or BSc Honours students, not currently permanently employed at the CSIR or any other organisation, are eligible to apply for a bursary. To be considered, the minimum requirement is a 65% average at the current level of study. South African citizens are the CSIR’s first priority but international students are strongly encouraged to apply. Calls for bursary applications go out once a year. No unsolicited applications can be considered.